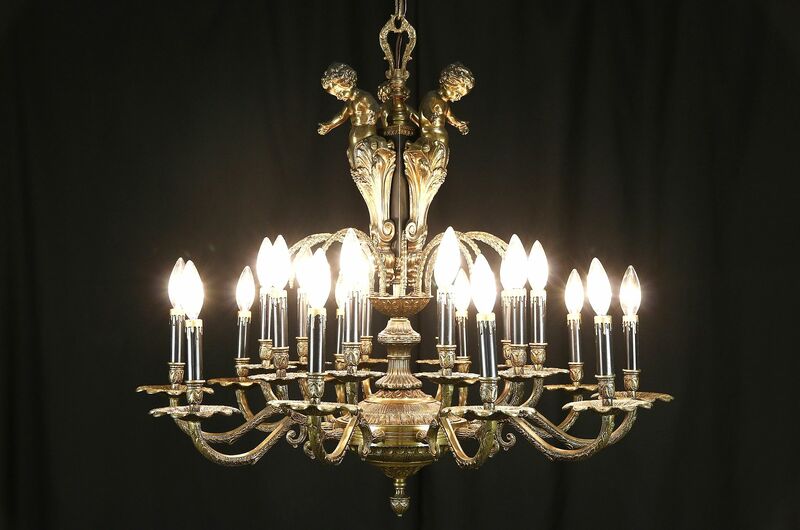 A chandelier with three sculptures of angels or cherubs has a richly embossed frame with an original dark bronze finish. Twenty candles have original black and gold covers and standard candelabra base sockets that have been rewired. About 40 years old, this American made light fixture has over 100 tiny holes where prisms could be hung if desired. Size is 32" diameter and 30" tall, excluding the original matching ceiling cap and adjustable chain.